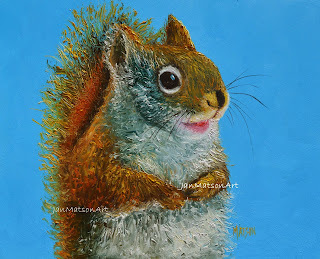 A sweet squirrel painting for that very special person! 'Dancing Poppies', a bright little oil painting especially for the flower lover! 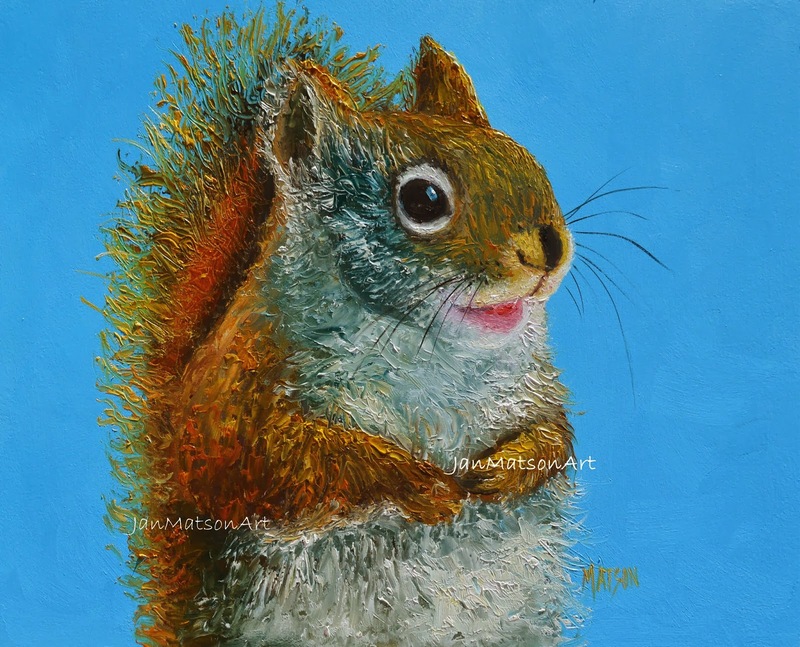 It has been painted with thick, luscious oil paints to make the painting come alive! 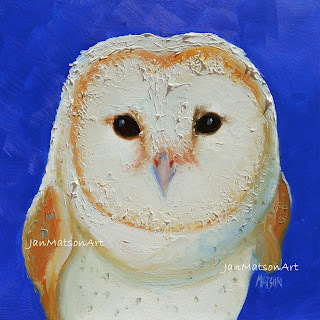 A sweet little owl for a child's nursery, the kitchen or the owl lover like me! 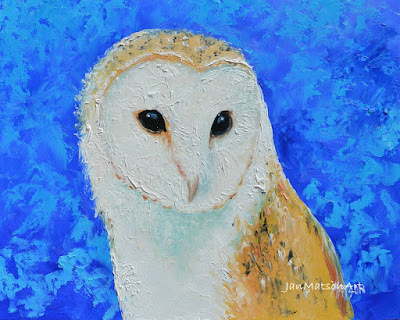 My animal paintings start with an image, they are then molded and sculpted with a palette knife until they raise off the board and come to life! 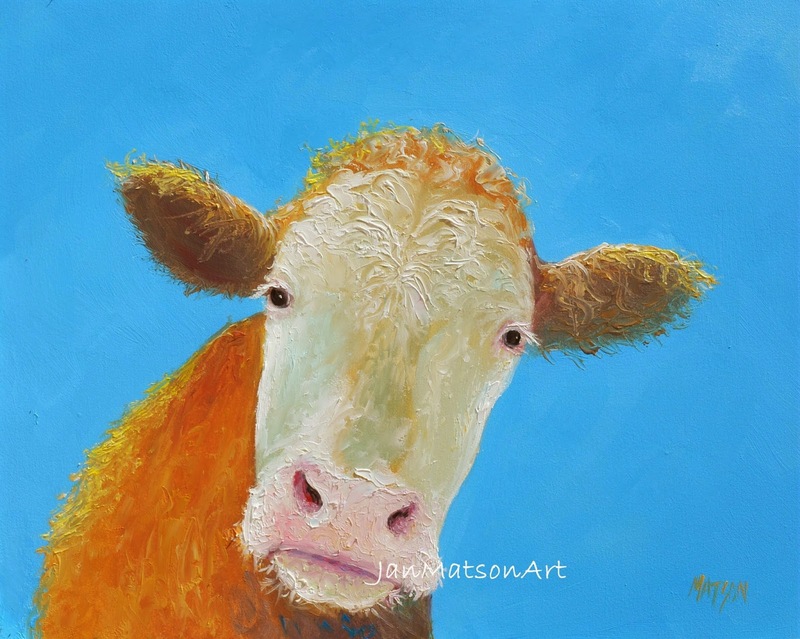 I love painting cows, they have such gentle inquisitive faces! Such personality! 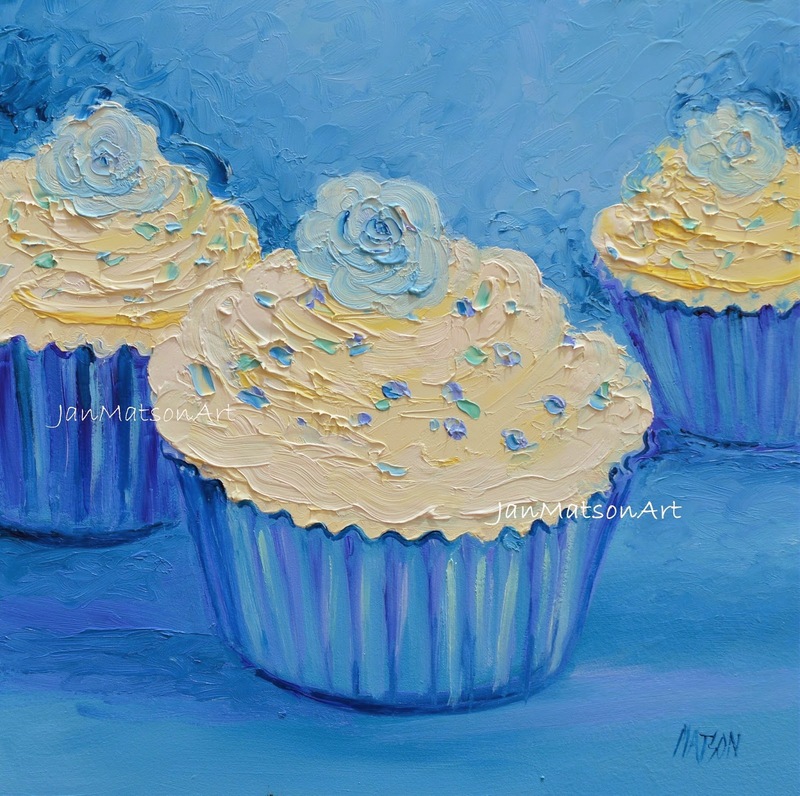 Delicious cupcake for your kitchen decor, child's room or cafe! A lovely summer's day at the seaside for this little group of three! 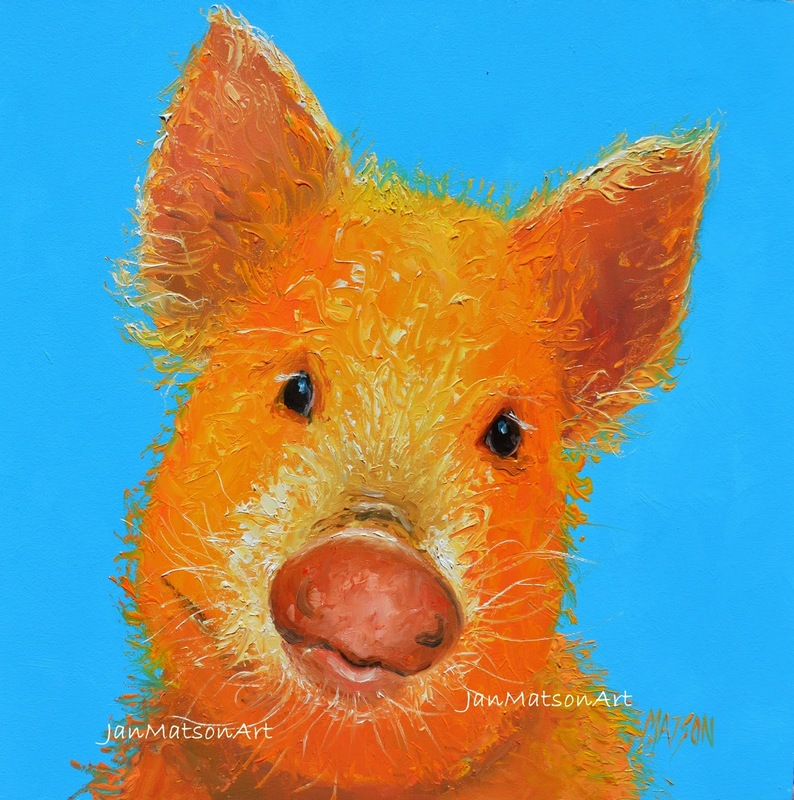 A sweet little pig painting for that special nursery, children's room, kitchen, or cafe. 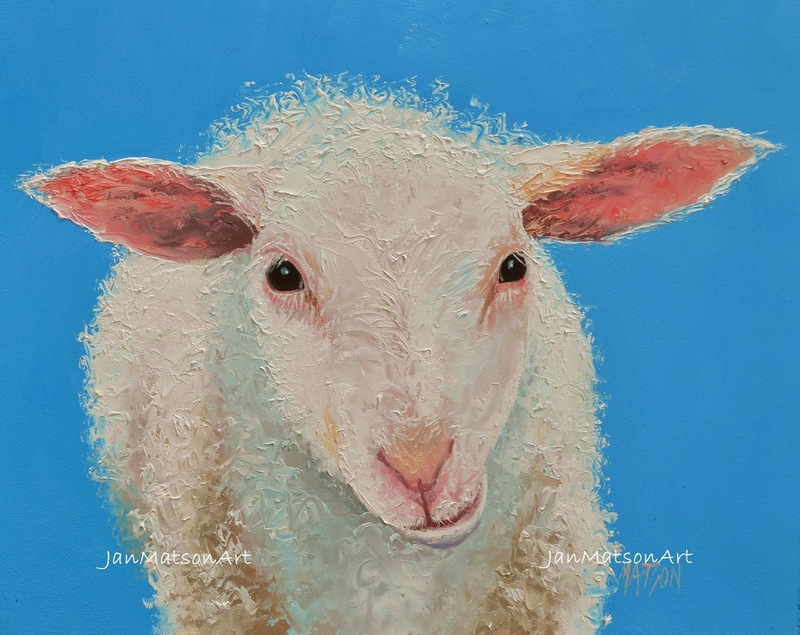 A sweet little lamb 'Ollie', a colorful addition to a child's room or nursery and will become a valued heirloom! A colorful Barn Owl to brighten up a child's nursery or for the owl lover like me! Oil on panel 10" x 8" unframed. 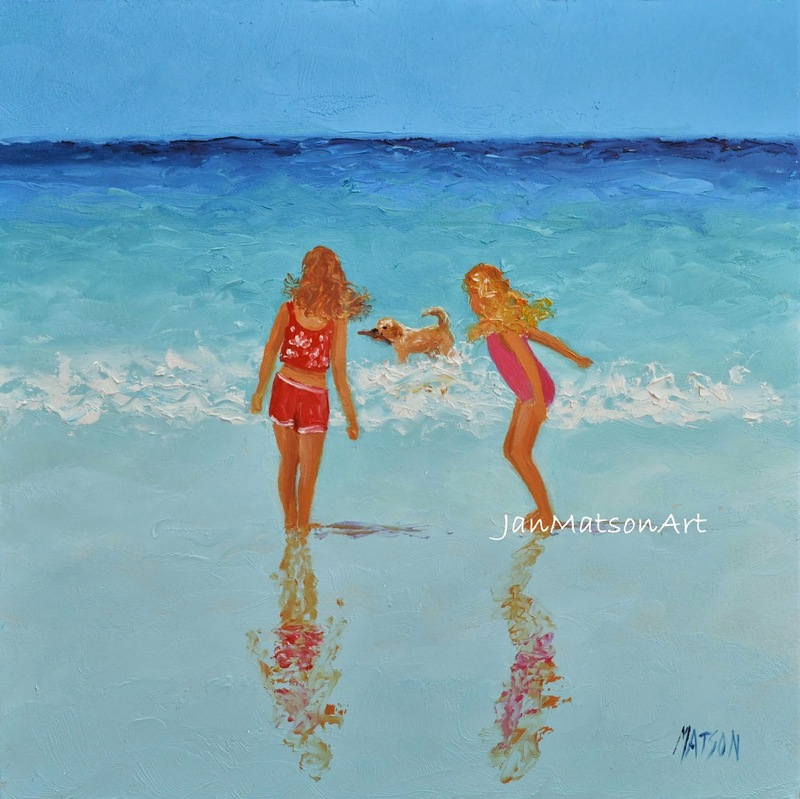 A gorgeous, sunny beach day for these young girls and their golden retriever! 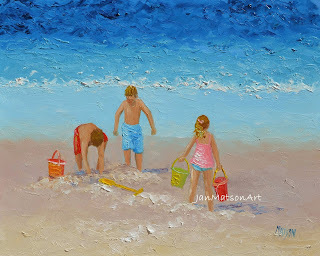 A painting to bring back those childhood memories of summers' past. 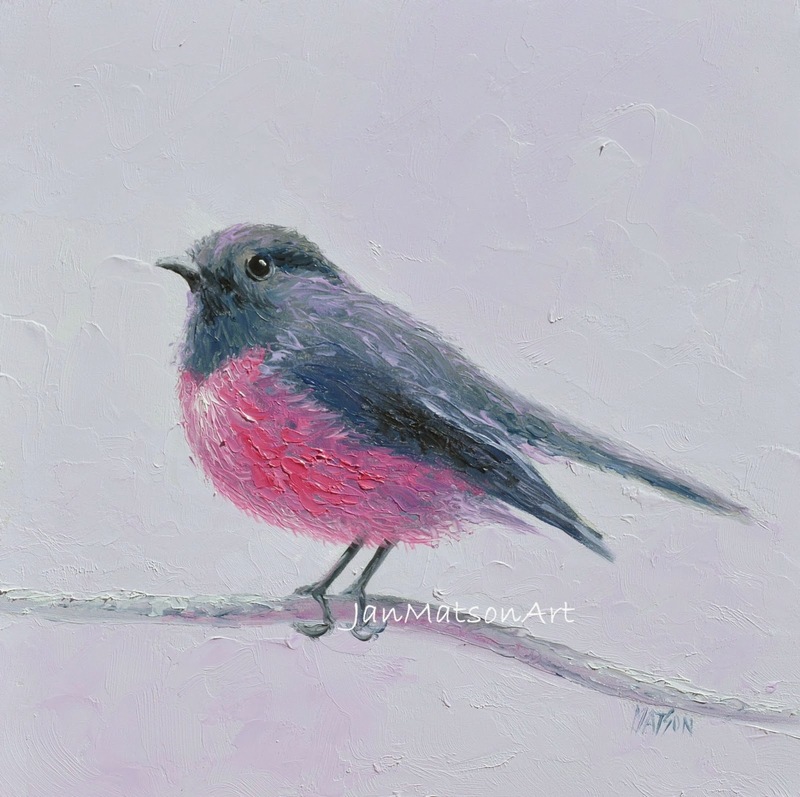 A sweet little bird painting to suit any decor.